For my Computer Graphics course at NYU with professor Ken Perlin, a group of other students and I made a VR game/toy using Unity. 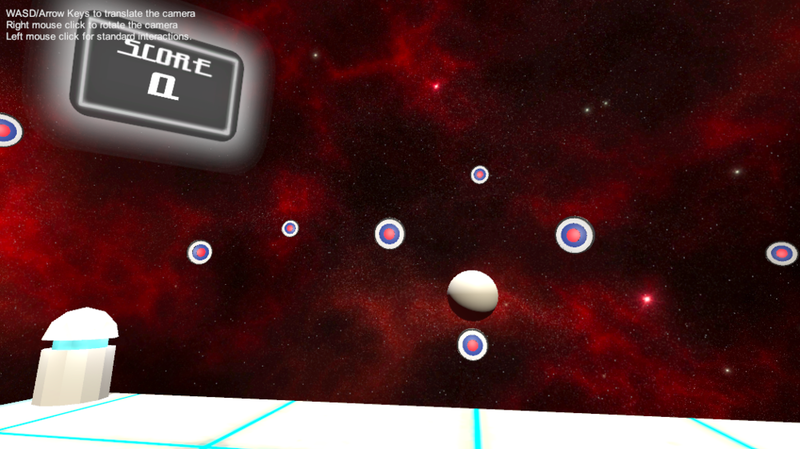 Players are equipped with the VR bow and arrow that comes built in with Unity VR and must hit the targets shown in the image above. However, the small other planets in the scene have gravitational effects on the arrows, meaning players must aim with gravitational pull in mind. For this project, I created all non-bow and arrow assets using Blender. I also worked on programming the score and the score board.